The Best of the Day preview tucks the ball under the arm with NRL tips for a vital Round 6 showdown between the underperforming Cronulla Sharks and Penrith Panthers. Final Thoughts: Seven months ago the Cronulla Sharks and Penrith Panthers played out a classic semi-final. But this NRL Round 6 opener sees both teams – who both sport 2-3 records – under a fair bit of pressure to produce a win. In this week's column, @LadiesWhoLeague takes a look at the make-or-break period surrounding the Panthers, Sharks and Broncos. Stymied by injuries to Matt Moylan, Paul Gallen and Shaun Johnson (who returned last week), the Sharks have lost their last two to in-form opponents the Eels (24-12) and Roosters (30-16). But Gallen is set to return and Andrew Fifita is expected to play despite an injury concern. 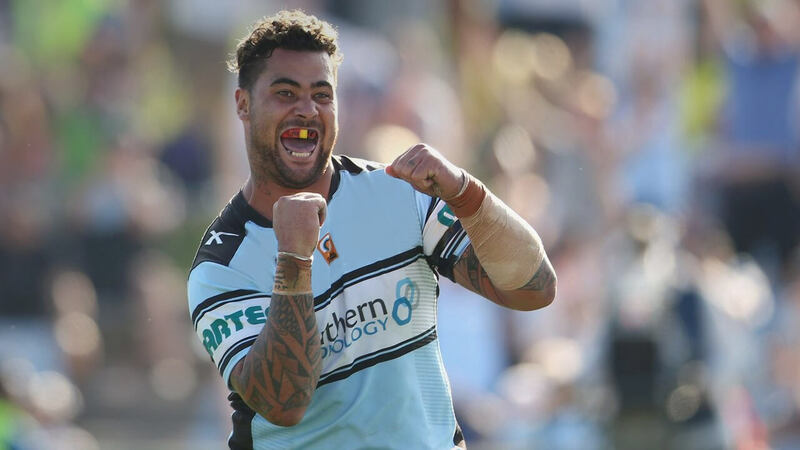 The Sharks will be eager for more impetus from Johnson, though, with the side a playmaker short following Josh Dugan’s move to fullback. The Panthers eased some pressure with a remarkable 9-8 golden point escape against the Tigers in Round 4. But they returned to the firing line via a 30-24 loss to the previously winless Titans last Friday. Tim Grant and Wayde Egan come back from injury into Penrith’s line-up, but their primary concern is their blue-chips halves’ lack of cohesion and a bumbling backline. "This year we're attempting to make some changes in the way we play and what's expected of individuals. Sometimes it takes a bit of time for that change to be fully implemented." Cronulla have dominated the rivalry between the 1967 premiership entrants in recent years. Penrith have won just one of their last 10 between the clubs, with the Sharks currently on a six-match winning streak. But nine of the last 12 encounters were decided by 1-12 margins – including all three clashes in 2018. The Panthers fought back from an 18-0 deficit in last year’s cliff-hanger semi, but Chad Townsend’s 75th-minute field goal proved the difference in a 21-20 victory. The Panthers’ last win in the Shire was back in 2012. And with the Sharks’ pack significantly bolstered, the hosts should graft their way to a hard-earned two points.